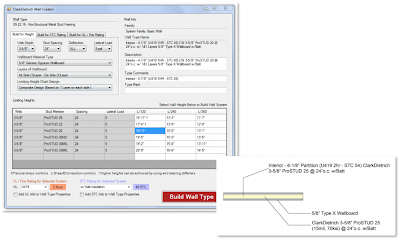 "The ClarkDietrich Wall Type Creator™ is the first Revit® add-on design tool that intelligently incorporates detailed information on wall elements and design properties, such as UL assemblies based on fire rating requirements, STC sound ratings and limiting height design. 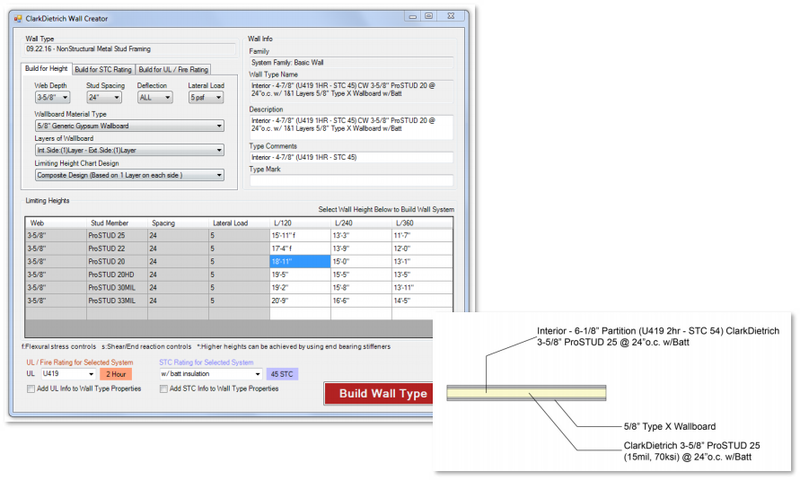 This type of interactive platform, in which details have been linked together, is truly unparalleled and gives architects and contractors everything needed to successfully design even the most challenging wall assemblies. "The system's intuitive design and integrated data on wall assemblies allows users to seamlessly search and update entire wall designs based on specific input parameters. 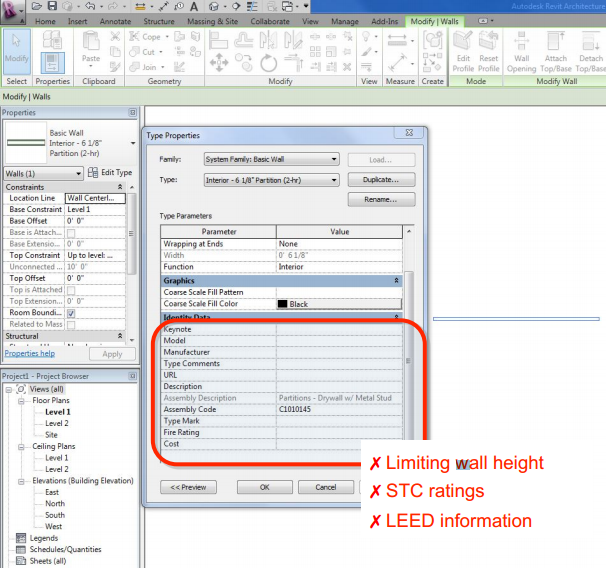 The wall type is created to reflect the proper assembly of materials necessary for wall construction, including: manufacturer and product information, types of sheathing, overall wall width, UL and STC data, wall height design, LEED® information and product SubmittalPro® data sheet links. "ClarkDietrich recognized a need among architects and contractors for BIM systems to include more detail on wall assemblies, in order to automate and streamline the building process. 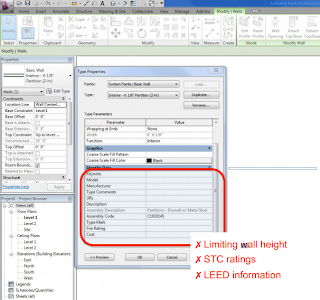 The BIM Wall Creator opens the door for architects to pass models onto contractors with the assurance all materials will work together within the overall building design." This free add-in may be downloaded from the ClarkDietrich website. Has anyone created a similar add-on that has options for different structure types? i.e. wood stud, metal stud, concrete, block, etc.?? This tool seems like it is exactly what I am looking for...except that it only works for metal studs. I understand why, given that Clark Dietrich sponsored the development of this tool. But they would reach a wider client base if they didn't exclude the other materials.